In stock -This product will ship today if ordered within the next 47 minutes. 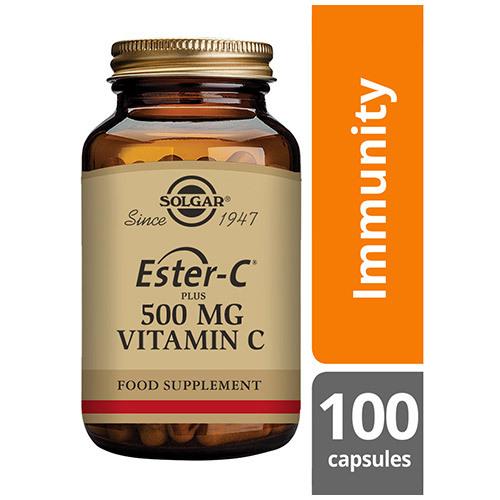 “The Better Vitamin C” - Solgar® Ester C® Plus 500mg is a unique formula utilising a premium patented, non-acidic form of vitamin C, which may be easier for your body to absorb. 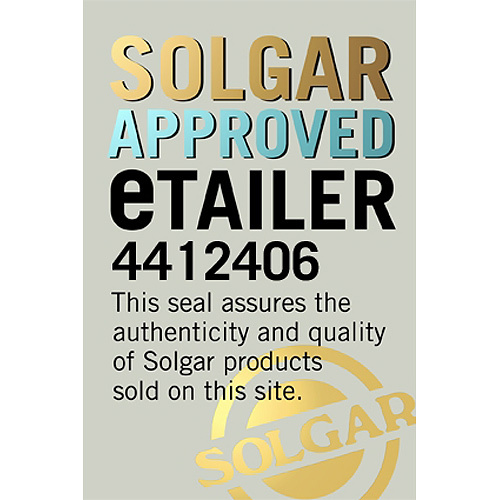 This proprietary formula is an exclusive product to Solgar and contains additional natural plant bioflavonoids that naturally accompany Vitamin C in fruits and vegetables. 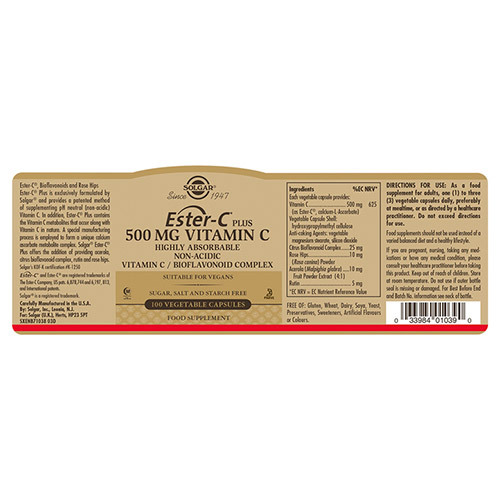 Ester C itself is also gentle on the stomach compared to traditional forms of vitamin C, and so is less likely to irritate, making this product a good choice for everyone. Once taken Ester C® is also retained by your immune cells for longer than regular Vitamin C, giving you superior immune support. Vitamin C, a water soluble vitamin that helps fight free radicals and to maintain a healthy immune system. It has multiple benefits which supports optimal health, ranging from promoting healthy skin, reducing tiredness and fatigue and supporting healthy bones and teeth. Also contains: Vegetable Capsule Shell: hypromellose cellulose, Anti-Caking Agents: vegetable magnesium stearate, silicon dioxide. As a food supplement for adults take one to three vegicaps daily, preferably at meal times or as directed by a healthcare practitioner. Do not exceed directions for use. 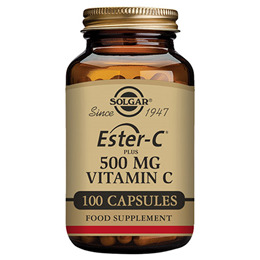 Below are reviews of Solgar Ester-C Plus - Vitamin C - 100 x 500mg Vegicaps by bodykind customers. If you have tried this product we'd love to hear what you think so please leave a review. ester C is a better way of taking vitamin C. good on the stomach. I like these, they are not too big to swallow, and keep me fit! Used this product for many years. Excellent.